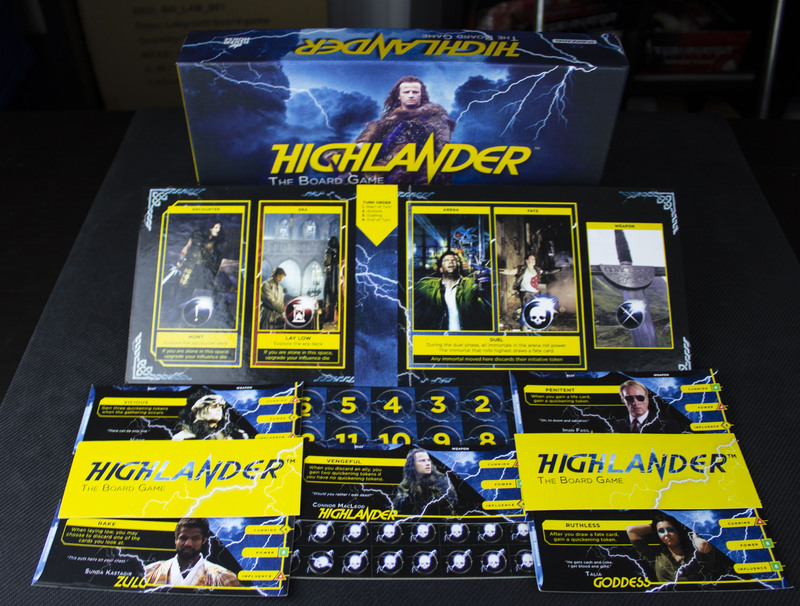 When we received the Highlander license I was very excited. When it turned out we were focusing on only the first film, I was even more excited. There can only be one after all! Don’t worry, that is the only time I will use that line. Designing for a licensed game can be a fairly different process from designing unlicensed games. You have to start from the theme backwards, you have to try and catch the essence of the IP (intellectual property) you are using rather than building out from mechanics as some designers prefer. I have always been a top-down designer, preferring to start the design process with the feeling I want players to be experiencing, so that was how I started out with Highlander. 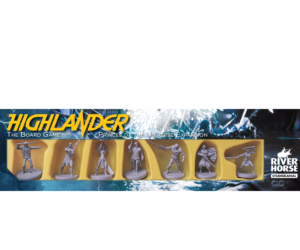 So what is Highlander about? What theme does Highlander have running through it and how would that translate into a kernel of a game mechanic? 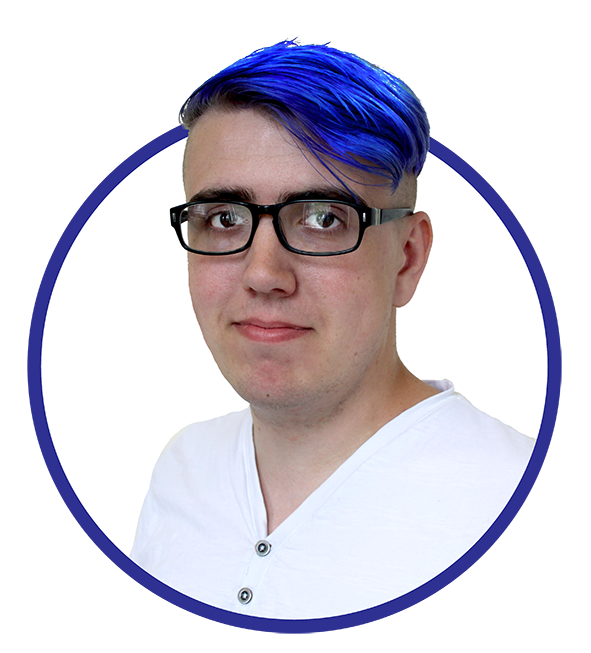 I just heard your breath sucking over your teeth, I know the reputation that elimination games have with some gamers. There was no other way; elimination was so core to highlander that to not include it within the game would be tantamount to sacrilege, so we had to work with that rather than shying away from it. Elimination games need to be short and, in my opinion, need to get shorter when somebody was eliminated. To implement an elimination mechanic into Highlander we created the behead card. The behead card is hidden in amongst the fate cards, which are drawn whenever someone wins a duel. Most of them give some form of bonus to the winner or a negative to the loser of a duel. After a fate card is resolved it is discarded, meaning the more duels you have, the thinner the fate deck gets. The only exception to this rule is the behead card, which shuffles itself back into the deck. As the deck gets thinner, the chance of drawing that behead card gets higher, increasing the tension! The behead card allows you to eliminate another player from the game. Whenever a player is beheaded they discard a number of cards from the top of the era deck and the victorious player gains a powerful boost. These two mechanics speed up the game every time a player is eliminated, meaning nobody is sitting out for too long. Originally we toyed around with players being able to influence the game after elimination but quickly found that players used this power spitefully! It also went a long way to destroy the excitement of being defeated. Being eliminated is not what anyone wants, but the threat of elimination makes the game more exciting for everyone. That being said, due to early feedback from our kickstarter campaign we did add in some optional rules for players who do not want to play an elimination game. Another key element in Highlander is immortality: time marches on. 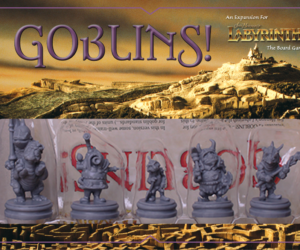 Early on we toyed with the idea of a small skirmish game but that couldn’t capture the feeling of a battle that has been raging for hundreds and, in some cases, thousands of years. To represent this I came up with the era deck, a deck of cards that was split into two broad time zones “ancient era” and “modern era” (read 1986!). Players would explore this deck and feel time running out as the deck got smaller and smaller. Throughout the ages, players would gain upgrades called “Lives”, representing entire generations of training or war, of business or love. These immortals would meet each other every few generations and battle, putting to the test what they had learnt in the interceding time. The decks also allowed us to very easily abstract the concept of space, meaning that we could have players spend a lifetime in egypt, then another in the Scottish highlands without breaking the game (especially as each ancient card signifies approximately 100 years, more than enough time to travel the world). In order to reinforce the idea of time marching on we also decided that this would be a game without a discard pile. Cards that are discarded are placed back into the box – they are not interacted with for the rest of the game. This helped to simplify the game and reduce the amount of perceived complexity as players were looking at half the number of decks. Players quickly learned that anything discarded was lost forever. 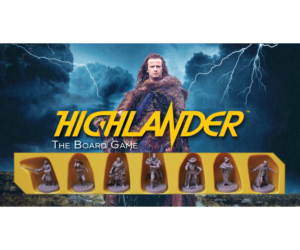 Highlander is a game of cards and polyhedral dice, and any strategy will need to be tempered by the luck of the draw and luck of the roll. This helps to give it a fast and loose feel, meaning that players often know who has the advantage but never know the outcome of a clash before it happens. If you make it to the gathering you are in with a chance, always. The dice are used in a few ways besides rolling against each other. Each turn, dice are rolled to determine the turn order. If two or more immortals roll the same, they have a chance meeting. This mechanic was fun to playtest and tweak, as it promised the chance of something very exciting happening in what can be a less action-packed part of a game. The final way the dice are used was inspired in part by Arctic Scavengers, a fantastic little deck builder. In that game you can dig through piles of snow (represented by cards) looking for food and tools. The more digging you do, the more cards you look at, but you can always only choose one. Early on in development the era deck worked like this, swapping out the digging with an influence die roll. We found, however, that players did not enjoy getting boring cards (like the snow cards in Arctic Scavenger) within the era deck so it was decided that the deck should only include interesting choices. Since cards were always placed back on top of the deck after choosing, players who roll low on their influence are forced to choose cards that other players have already decided they don’t want to use. Check back later for part 2 in this article series, and join the discussion by following our various channels across social media, including Facebook, Twitter, Instagram and Youtube. The Hunger Games: Mockingjay® – The Board Game Pre-order Open! BLACK FRIDAY – Free shipping and deals all weekend from River Horse!